The Centers for Disease Control and Prevention is partnering with the City of Austin to help improve dockless scooter safety and enforcement. KUT’s DaLyah Jones has more on the first of its kind project. The Austin Transportation Department, Austin Public Health and the CDC will look at 37 EMS calls, as well as 68 scooter injuries that occurred between September and November. The study hopes to improve existing dockless mobility regulations. Robert Spillar is the Director of ATD. “We want to make sure that we take a deep dive into the data to make sure of the information that we’re getting,” Spillar says. Austin has almost 12,000 authorized dockless devices operating in the city. City Council is expected to meet over the recommendations from the study by next Spring. Texas lawmakers in Congress are backing legislation to help local communities identify missing migrants along the U.S.-Mexico border. U.S. Reps. Will Hurd and Vicente Gonzalez introduced a bill in the House, and U.S. Sens. 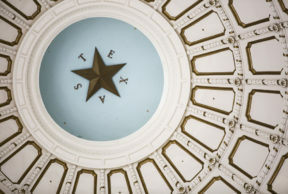 John Cornyn and Ted Cruz filed a companion bill in the Senate. Marfa Public Radio’s Carlos Morales has more. The bill, known as the Missing Persons and Unidentified Remains Act, would expand what kinds of agencies are eligible for grants to improve the reporting of unidentified and missing people. The legislation would also allow for grant money to cover costs for things like hiring additional DNA case analysts and technicians and purchasing state-of-the-art forensic equipment. Through the bill, Border Patrol would also be able to purchase rescue beacons, which officials say can help reduce “migrant deaths on the southern border. Over the years, counties along the Texas-Mexico border have recovered hundreds of unidentified remains. Friday is Pearl Harbor Day, and in just a few days there is another anniversary borne out of the atrocities of World War II. Monday marks 70 years since the adoption of the Universal Declaration of Human Rights. The United Nations enacted the document on December 10, 1948. Former First Lady Eleanor Roosevelt spearheaded its creation. A Central Texas group will be commemorating this historic milestone over the weekend at the state’s capitol. Carolyn Parker is with the Ethical Society of Austin. She says they plan to read all 30 articles in the declaration. The reading will take place on Sunday afternoon on the south steps of the Capitol.